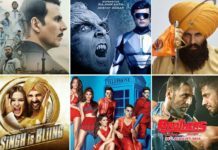 Highest grossing movies of Akshay Kumar: From ‘Rowdy Rathore’ to ‘2.0’ have a look at 10 biggest hits of Akshay Kumar’s career. Akshay Kumar as we all know is one of the most versatile and bankable actors of Bollywood. 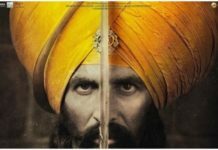 From Saugandh in 1991 to Kesari in 2019, the actor has delivered as many as 115 movies. Well, these 28 years have been quite eventful for Khiladi of Bollywood. Around 70% of his movies are average or flop, while only 30% makes are successful. Akshay Kumar has been quite inconsistent throughout his career as far as box office collection of his movies is concerned. On one end, he has delivered blockbusters like Rowdy Rathore and Welcome, while on other there is a big list of his flop/disaster movies. Today, we will look at the list of highest grossing movies of Akshay Kumar. Released last year, 2.0 is Akshay Kumar’s highest grossing film with the collection of 188 crores. Akshay Kumar is yet to deliver a 200 crore grosser while his counterparts Ajay Devgn, Shahrukh Khan, Salman, Shahrukh and Aamir have multiple 200 crore movies. 2.0 is followed by Toilet: Ek Prem Katha which earned 134.2 crores in its lifetime. 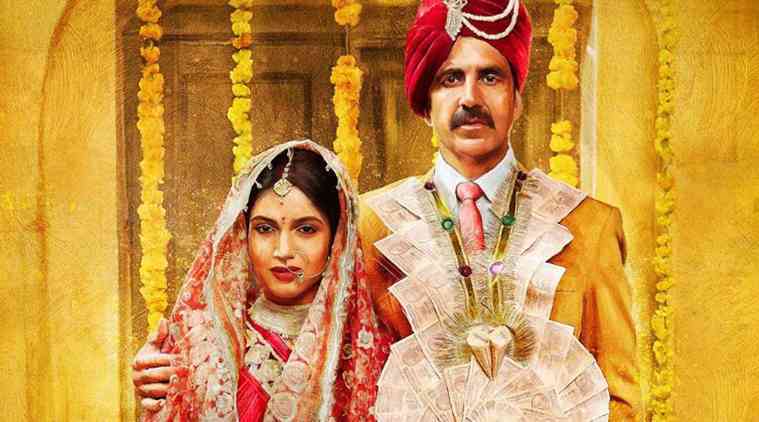 With the collection of 134 crores, Rowdy Rathore is at the third position in the list. Airlift (128.5 crores) and Rustom (127.13 crores) follows at fourth and fifth position respectively. Akshay Kumar has five big movies slated for release in 2019. His fans have huge expectations from these films. Akshay Kumar’s next Kesari is slated for release on 22 March 2019. It is one of the most awaited movies of the year. The pre-release buzz is high and we can expect a huge opening day. We need to wait and watch if it earns 200 crores at the box office. What are your views on Akshay Kumar’s highest grossing movies? Share your thoughts with us in the comments section. This post was last updated on 19 March 2019. Akshay is the only guy , who make himself different from the khan’s. Only Akshay Kumar is the real hero . Akshay sir is the Real Khiladi , Unko to izzat dena bnta h and talk about he’s comedy is Superrbb !! 109 movies apne carrer me dena bahut bdi baat hoti h !!! I am. Very big fan of Akshay sir !!! we love you Always Khiladi Kumar!! What about blockbuster Bhul bhulayya ? a more accurate color tonal range, deeper blacks and shadow details. from High-definition Multimedia Interface wires. Connecting Laptop, Netbook, Smartphone, Tablet PC or Smartphone to High Definition Television. THE FINAL WORD: The Marantz UD9004 carries a price report on $5999. Akshay deserves more than that.